We're making history. Our house is an infill projectbuilt on a lot hived off an historic property in the city's historic East Hill. 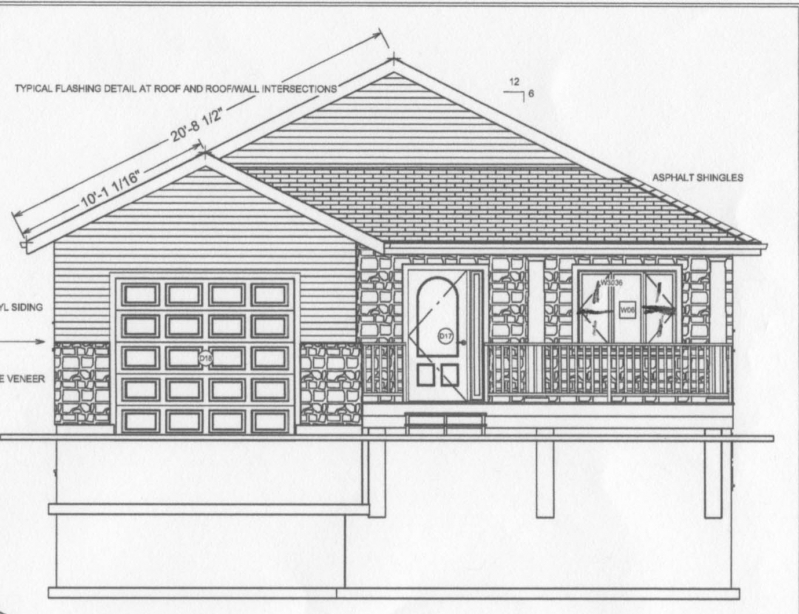 The house is still under construction with a target finishing date of mid-April, 2015. Photos by Orland and Sylvia French of Wallbridge House Publishing. House by Jamie Moore and Moore Craft Construction. 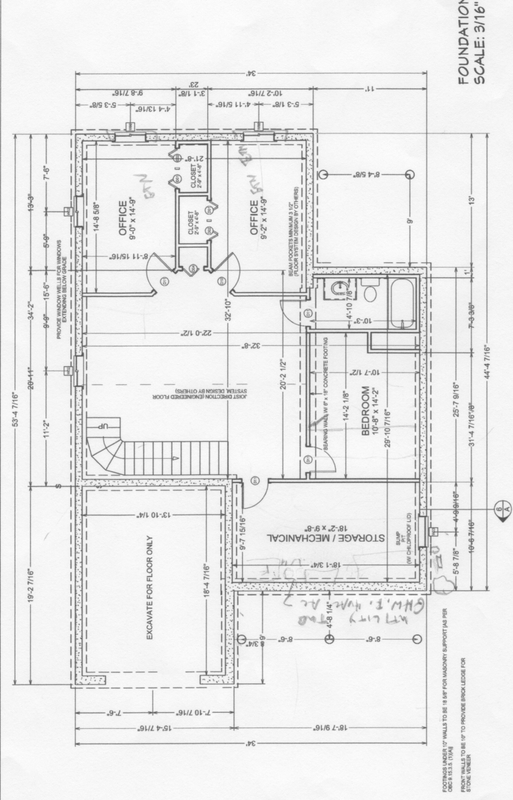 Architectural drawing of the main floor. 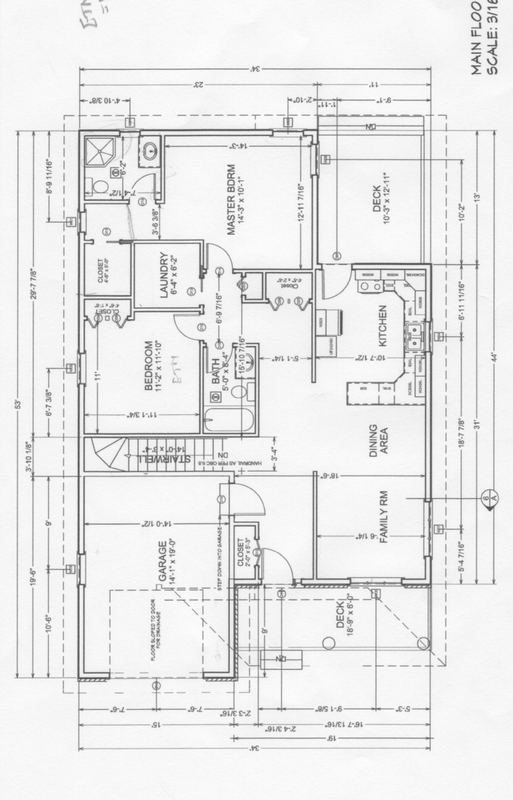 The building is designed so that if necessary a person could live entirely on the main floor. The basement will be fully finished with a guest room and two offices included. First find a lot you like. This one is in the East Hill area of Belleville. 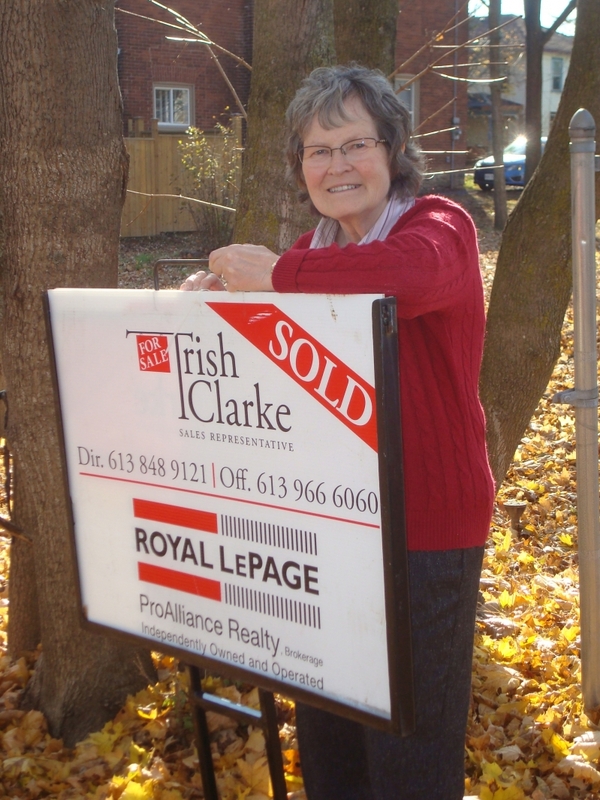 Getting a sold sign on your new lot is the first major step. The lot has been sold. It's yours. Get some help to remove the "for sale" sign. Next you find a competent contractor. This man is Jamie Moore of Moore Craft Construction. He is first rate and so is his work. Let the contractor set up his field office. 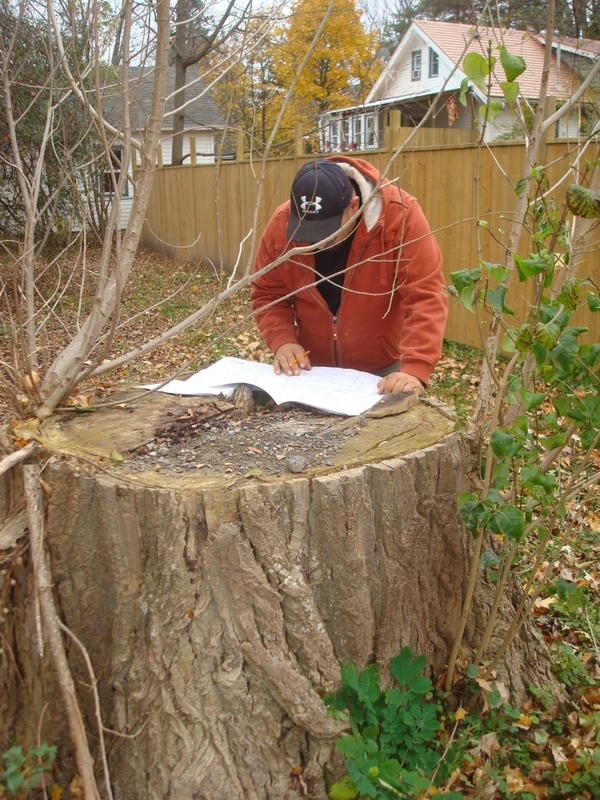 Set up a party table on a large old stump on your lot and celebrate the birth of your new project. At this party it snowed so the wine stayed chilled. Preparing the lot for construction may mean the removal of trees. 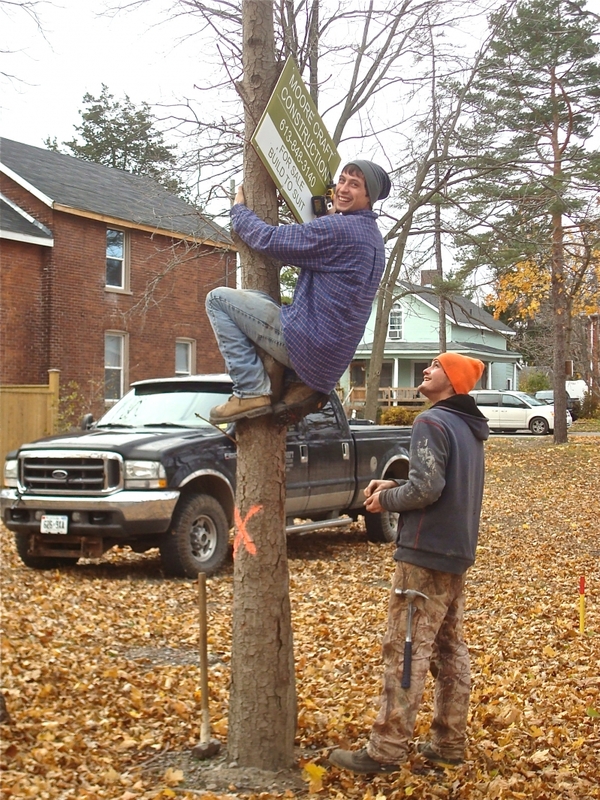 Unfortunately, this colourful maple behind us had to be taken down. Keep the construction crew happy with coffee deliveries. Take the coffee order on a custom-made slab of lumber from the contractor.